Cambridge Rindge and Latin student Hannah Thomsen isolates her DNA for sequencing during an Amgen biotech lab inside the Science Center. Kris Snibbe/Harvard Staff Photographer. On the fourth floor of Harvard’s Science Center, high school biology students from Cambridge Rindge and Latin School (CRLS) put on safety goggles and gloves, and step up to lab tables conveniently set up with pipettes, centrifuges, and other implements. Then they get to work isolating their own DNA. Teaching younger students the tools of modern science is the goal of the Amgen Biotech Experience (ABE,) a STEM (science, technology, engineering, and mathematics) program that opens the field of biotechnology to high schoolers and their teachers, while at the same time teaching them how to approach science as critical thinkers and innovators — and a lot about who they are. In its sixth year in Massachusetts, the local branch of the program is a partnership between the Harvard and the Amgen Foundation. 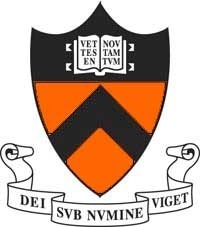 A foundation grant through the University’s Life Sciences Outreach Program provides the kits of materials and equipment for students to do labs that mirror the process of therapeutic research and development, and Massachusetts teachers participating in the program complete summer training workshops at Harvard. More than 80,000 students around the world — 6,000 of them from Massachusetts high schools, along with 100 of their teachers — participated in ABE last year. At Harvard, which in July received another three-year grant to continue ABE programing, about 500 CRLS students are able to use the undergraduate biology teaching laboratories, where their own teacher leads the lab and graduate students and postdoctoral fellows are on site for assistance. CRLS students Hannah Thomsen (from left) and Elizabeth Lucas-Foley work with their Biology teacher Janira Arocho, GSAS student Alyson Ramirez, and CRLS students Peter Fulweiler and Kerri Sands. Kris Snibbe/Harvard Staff Photographer. n one lab in December, the CRLS students isolated their own DNA (their results were sent out for sequencing, and reports returned to them several days later for analysis). In another, the students produced a red fluorescent protein — used in the field for in vivo imaging — with common biotech tools. Alia Qatarneh, the site coordinator of the ABE program at Harvard, leads teacher ABE workshops, training, and student labs. Qatarneh said she is particularly excited that the program was just implemented at her alma mater, Boston Latin School, where she was able to teach an ABE lab to four advanced placement biology classes last fall. An assessment by the nonprofit research firm WestEd found that the ABE program substantially adds to students’ knowledge of biotechnology, and increases their interest and confidence in their scientific abilities. The program is open and for free participating high school biology students, including those with learning disabilities, and even those without an interest in science. “Students may say, ‘Wow biotech, I didn’t know that this field existed. I thought that if I liked science I had to be a doctor, and now I have this whole different path in front of me,’” Qatarneh said. Arocho said her students love going to Harvard, seeing what the labs look like, and doing their work there. 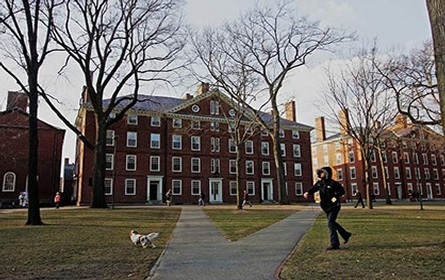 “Alia always starts by telling them that this is the exact same lab that the Harvard freshman are doing, and the exact same place, so they do get excited about that,” she said. CRLS junior Peter Fulweiler, one of Arocho’s students, said the best part is taking what he learned in the classroom and putting it all together in the lab. Science teacher Lawrence Spezzano is one of 10 instructors at Boston Latin now implementing the ABE program. He said it allows for flexibility and differentiation, and enhances learning opportunities as well as classroom logistics. “The program was perfect. As an AP biology teacher struggling to fit more labs and biotechnology into a time-constrained curriculum, the mapped-out process is creative and engaging to both me and my students,” Spezzano said. Kerri Sands, a junior at CRLS, said she has always dreamed of being a geneticist. She wants to eventually change the future of medicine, and now feels like she can. A new, statistical method to evaluate the reproducibility of data from Hi-C — a cutting-edge tool for studying how the genome works in three dimensions inside of a cell — will help ensure that the data in these “big data” studies is reliable. The new method, called HiCRep, developed by a team of researchers at Penn State and the University of Washington, is the first to account for a unique feature of Hi-C data — interactions between regions of the genome that are close together are far more likely to happen by chance and therefore create spurious, or false, similarity between unrelated samples. A paper describing the new method appears in the journal Genome Research. Inside the nucleus of a cell there is a massive amount of genetic material in the form of chromosomes — extremely long molecules made of DNA and proteins. The chromosomes, which contain genes and the regulatory DNA sequences that control when and where the genes are used, are organized and packaged into a structure called chromatin. The cell’s fate, whether it becomes a muscle or nerve cell, for example, depends, at least in part, on which parts of the chromatin structure is accessible for genes to be expressed, which parts are closed, and how these regions interact. HiC identifies these interactions by locking the interacting regions of the genome together, isolating them, and then sequencing them to find out where they came from in the genome. To test their method, the research team evaluated Hi-C data from several different cell types using HiCRep and two traditional methods. Where the traditional methods were tripped up by spurious correlations based on the excess of nearby interactions, HiCRep was able to reliably differentiate the cell types. Additionally, HiCRep could quantify the amount of difference between cell types and accurately reconstruct which cells were more closely related to one another. 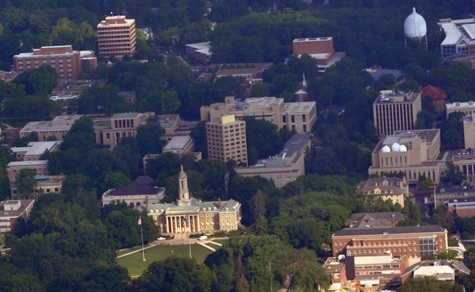 In addition to Li, the research team includes Tao Yang, Feipeng Zhang, Fan Song, Ross C. Hardison, and Feng Yue at Penn State; and Galip Gürkan Yardımcı and William Stafford Noble at the University of Washington. 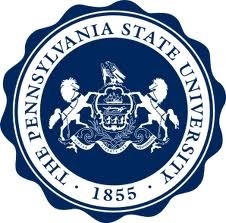 The research was supported by the U.S. National Institutes of Health, a Computation, Bioinformatics, and Statistics (CBIOS) training grant at Penn State, and the Huck Institutes of the Life Sciences at Penn State. A new study indicates an essential role for a maternally inherited gene in embryonic development. The study found that zebrafish that failed to inherit specific genetic instructions from mom developed fatal defects earlier in development, even if the fish could make their own version of the gene. The study by researchers at Princeton University was published Nov. 15 in the journal eLife. When female animals form egg cells inside their ovaries, they deposit messenger RNAs (mRNAs) – a sort of genetic instruction set – in the egg cell cytoplasm. After fertilization, these maternally supplied mRNAs can be translated into proteins required for the early stages of embryonic development, before the embryo is able to produce mRNAs and proteins of its own. Compared to a normal zebrafish embryo (right), an embryo lacking gdf3 (left) inherited from mom shows major defects resulting from its inability to form mesoderm and endoderm cells early in development. Credit: Pelliccia et al., 2017. In the study, Burdine and two graduate students Jose Pelliccia and Granton Jindal used CRISPR/Cas9 gene editing to remove Vg1, known as Gdf3 in zebrafish. Embryos that couldn’t produce any Gdf3 of their own–but received a healthy portion of the gdf3 mRNA from their mothers–developed perfectly normally. But embryos that didn’t receive maternal gdf3 mRNA showed major defects early on in their development, dying just three days after fertilization. Vg1/Gdf3 is a member of the TGF-beta family of cell-signaling molecules. Two other members of this family, Ndr1 and Ndr2, are required to form the mesoderm and endoderm early in zebrafish development. Embryos lacking maternally supplied gdf3 look very similar to embryos lacking both of these proteins, which are analogous to the Nodal 1 and 2 proteins in mammals. The researchers found that maternal gdf3 is required for Ndr1 and Ndr2 to signal at the levels necessary to properly induce the formation of mesoderm and endoderm cells in early zebrafish embryos. In the absence of gdf3, Ndr1 and Ndr2 signaling is dramatically reduced and embryonic development goes awry. Nodal signaling is also required later in zebrafish development when it helps to establish differences between the left and right sides of the developing embryo. It does this, in part, by directing the formation of an organ known as Kupffer’s vesicle, whose asymmetric shape helps determine the embryo’s left and right sides. Subsequently, Nodal signaling induces the expression of a third Nodal protein, called southpaw, in a group of mesoderm cells on the left-hand side of the embryo. To investigate whether maternally supplied gdf3 mRNA also plays a role in left-right patterning, the researchers used a series of experimental tricks to supply embryos with enough Gdf3 protein to form the mesoderm and endoderm and survive until the later stages of embryonic development. As predicted, these embryos showed defects in left-right patterning. Their Kupffer’s vesicles were abnormally symmetric in shape, and southpaw expression was greatly reduced, suggesting that gdf3 is also required for optimal Nodal signaling during later stages of embryonic development. At this stage, however, embryonic gdf3 seems to be capable of doing the job if maternally supplied gdf3 is absent. Nodal and Vg1 proteins are known to bind to each other in other species. “Thus, we hypothesize that Gdf3 combines with Ndr1 and Ndr2 to facilitate Nodal signaling during zebrafish development, acting as an essential factor in embryonic patterning,” said Pelliccia, a graduate student in molecular biology. Co-author Jindal earned his Ph.D. in chemical and biological engineering in 2017. The research was funded by the Eunice Kennedy Shriver National Institute of Child Health and Human Development (grant R01HD048584) and the National Science Foundation (graduate research fellowship DGE 1148900). Single-stranded origami technology is based on design rules that can be used to cross DNA strands in and out of single stranded regions to build large nanostructures. Credit: Molgraphics. Like genetic DNA (and RNA) in nature, these engineered nanotechnological devices are also made up of strands that are comprised of the four bases known in shorthand as A, C, T, and G. Regions within those strands can spontaneously fold and bind to each other via short complementary base sequences in which As from one sequence specifically bind to Ts from another sequence, and Cs to Gs. Researchers at the Wyss Institute of Biologically Inspired Engineering and elsewhere have used these features to design self-assembling nanostructures such as scaffolded DNA origami and DNA bricks with ever-growing sizes and complexities that are becoming useful for diverse applications. However, the translation of these structures into medical and industrial applications is still challenging, partially because these multi-stranded systems are prone to local defects due to missing stands. In addition, they self-assemble from hundreds to thousands of individual DNA sequences that each need to be verified and tested for high-precision applications, and whose expensive synthesis often produces undesired side products. Now, a novel approach published in Science by a collaborative team of researchers from the Wyss Institute, Arizona State University, and Autodesk for the first time enables the design of complex single-stranded DNA and RNA origami that can autonomously fold into diverse, stable, user-defined structures. In contrast to the synthesis of multi-stranded nanostructures, these entirely new types of origami are folded from one single strand, which can be replicated in living cells, allowing their potential low-cost production at large scales and with high purities, opening entirely new opportunities for diverse applications such as drug delivery and nanofabrication. Earlier generations of larger-sized origami are composed of a central scaffold strand whose folding and stability requires more than two hundred short staple strands that bridge distant parts of the scaffold and fix them in space. “In contrast to traditional scaffolded origamis, which are assembled from hundreds of components, our new approach allows us to reliably design and synthesize stable single-stranded and self-folding origami,” said Wyss Institute Core Faculty member and corresponding author Peng Yin, Ph.D. “Our fundamentally new approach relies on single-strand folding, rather than multi-component assembly, to produce large nanostructures. This, together with the ability to basically clone and multiply the single component strand in bacteria, presents a game-changing advance in DNA nanotechnology that greatly enhances single-stranded origami’s potential for real-world applications.” Yin is also co-lead of the Wyss Institute’s Molecular Robotics Initiative and Professor of Systems Biology at Harvard Medical School (HMS). To first enable the production of single-stranded and stable DNA-based origami with distinct folding patterns, the team had to overcome several challenges. In a large DNA strand that goes through a complex folding process, many sequences need to accurately pair up with sequences that are far away from each other. If this process does not happen in an orderly and precise fashion, the strand gets tangled and forms unspecific knots along the way, rendering it useless. “To avoid this problem, we identified new design rules that we can use to cross DNA strands between different double-stranded regions and developed a web-based automated design tool that allows researchers to integrate many of these events into a folding path leading up to a large knot-free nanocomplex,” said Dongran Han, Ph.D., the study’s first author and a Postdoctoral Fellow on Yin’s team. This schematic shows how a single strand of DNA can be programmed to self-fold into a large nanostructure, like, for example, that of a heart. The Wyss Institute researchers used atomic force microscopy to visualize the heart-shaped and a variety of other nanostructures, which can inexpensively and consistently be multiplied using bacteria as nanofactories. Credit: Wyss Institute at Harvard University. The largest DNA origami structures created previously were assembled by synthesizing all their constituent sequences individually in vitro and by mixing them together. As a key feature of the new design process, the single-strandedness of the DNA origami allowed the researchers to introduce DNA sequences stably into E. coli bacteria to inexpensively and accurately replicate them with every cell division. “This could greatly facilitate the development of single-stranded origami for high-precision nanotech like drug delivery vehicles, for example, as only a single easy-to-produce molecule needs to be validated and approved,” said Han. Finally, the team also adapted single-stranded origami technology to RNA, which as a different nucleic acid material offers certain advantages including, for example, even higher production levels in bacteria, and usefulness for potential intra-cellular and therapeutic RNA applications. Translating the approach to RNA also scales up the size and complexity of synthetic RNA structures 10-fold compared to previous structures made from RNA. Their proof-of-concept analysis also proved that protruding DNA loops can be precisely positioned and be used as handles for the attachment of functional proteins. In future developments, single-stranded origami could thus be potentially functionalized by attaching enzymes, fluorescent probes, metal particles, or drugs either to their surfaces or within cavities inside. This could effectively convert single-stranded origami into nanofactories, light-sensing and emitting optical devices, or drug delivery vehicles. “This new advance by the Wyss Institute’s Molecular Robotics Initiative transforms an exciting laboratory research methodology into a potentially transformative technology that can be manufactured at large scale by leveraging the biological machinery of living cells. This work opens a path by which DNA nanotechnology and origami approaches may be translated into products that meet real-world challenges,” said Wyss Institute Founding Director Donald Ingber, M.D., Ph.D., who is also the Judah Folkman Professor of Vascular Biology at HMS and the Vascular Biology Program at Boston Children’s Hospital, as well as Professor of Bioengineering at Harvard’s John A. Paulson School of Engineering and Applied Sciences (SEAS). The results announced today establish DNA nanotechnology as a viable alternative approach for applications that have the potential to benefit all of us and the Nation as a whole,” said Jim Kurose, Assistant Director of the National Science Foundation’s (NSF) Directorate for Computer and Information Science and Engineering (CISE). “We are delighted this work was supported by NSF’s Expeditions in Computing program, which has, over the last decade funded large teams of researchers to pursue ambitious, fundamental research agendas that help define and shape the future of computer and information science and engineering, and impact our national competitiveness. Besides Yin and Han, the study includes corresponding authors Hao Yan, Ph.D., and Fei Zhang, Ph.D., Director and Assistant Professor at the Biodesign Center for Molecular Design and Biomimetics at Arizona State University, Tempe, respectively, and Byoungkwon An, Ph.D., Principle Research Scientist at Autodesk Research, San Francisco; Shuoxing Jiang, Ph.D., Xiaodong Qi, and Yan Liu, Ph.D., Assistant Professor from the Biodesign Institute; Cameron Myhrvold, Ph.D., Bei Wang, and Mingjie Dai, Ph.D., past and present members of Yin’s team at the Wyss Institute; and Maxwell Bates, who worked with An. The study was funded by the Office of Naval Research, the Army Research Office, the National Science Foundation’s Expeditions in Computing program, and the Wyss Institute for Biologically Inspired Engineering. All life forms on Earth use the same genetic alphabet of the bases A, T, C, and G—nitrogen-containing compounds that constitute the building blocks of DNA and spell out the instructions for making proteins. Now, scientists have developed the first bacterium to use extra letters, or unnatural bases, to build proteins. The new research builds on the team’s previous efforts to expand the natural genetic code. In 2014, the scientists engineered Escherichia coli bacteria (pictured) to incorporate an additional pair of bases—X and Y—into their DNA. The bacteria could store the unnatural bases and pass them onto daughter cells. But to be useful, these bases need to be transcribed into RNA molecules and then translated into proteins. So in the new study the researchers slipped the “alien” pair of bases into bacterial genes that also contained traditional bases. The microbes successfully “read” DNA containing the unnatural bases and transcribed it into RNA molecules. What’s more, the bacteria could use these RNA molecules to produce a variant of green fluorescent protein that contains unnatural amino acids, the team reports today in Nature. 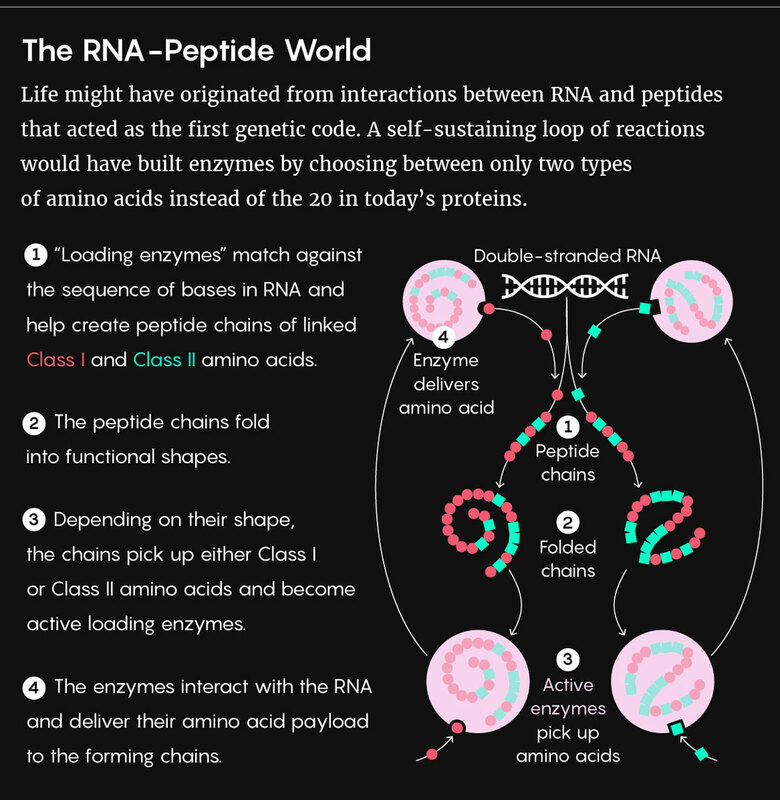 The traditional four DNA bases code for 20 amino acids, but the addition of X and Y could produce up to 152 amino acids, which might become building blocks for new drugs and novel materials, the scientists say. It was steam power in 18th Century Britain that helped set off the Industrial Revolution, an evolution in technology that would change the course of human history. But that turned out to be only the first in a wave of technological revolutions to follow. From the late 1800s, electricity was being harnessed to allow for mass production, and then in the 1980s, electronics and information technology took the world by storm, heralding the third technological revolution and giving us the digital world we know today. Now, we’re in the midst of a fourth technological revolution. Building on the digital revolution that came before it, we’re seeing increasing digital connectedness (think Internet of Things) and a fusing of digital technology with biological systems and technologies. And there has been a step change in the speed at which progress is occurring. The trend in the cost of sequencing a human-sized genome since 2001. Image: National Human Genome Research Institute. Consider the speed of progress during the IT revolution, which saw computing power doubling roughly every two years in accordance with Moore’s Law. Then contrast that with the rate of progress in the field of biotechnology, which has been exponential: the Human Genome Project, starting in 1990, was a $3 billion USD project that sequenced the human genome for the first time over a period of more than 10 years; then as a result of that work, from 2001 a genome could be sequenced for $100 million USD; and today we can sequence a genome for less than $1000. It is in this context that the field of synthetic biology (SynBio) has emerged. SynBio is essentially the application of engineering principles to biology. It involves making things from biological components, such as genetic code, to carry out useful activities. These activities could include sustainable production of fuels, treatment and cure of diseases, controlling invasive pests, or sensing toxins in the environment. Indeed, recent advancements in writing DNA code, printing DNA, and gene editing technology have made SynBio one of the fastest growing areas of modern science. It is a rapidly expanding multi-billion dollar industry with significant potential for generating societal benefits and commercial opportunities. That’s why SynBio was among the six new Future Science Platforms we announced last year; a program of investment in areas of science that are set to drive innovation and have the potential to help reinvent and create new industries for Australia. The SynBio Future Science Platform (SynBio FSP) is also growing the capability of a new generation of researchers in partnership with some Australian universities—some of the newest recruits, 11 SynBio Future Science Fellows, will be undertaking work on a suite of innovative projects. The research projects cover a broad spectrum of activity. There will be environmental and biocontrol applications, such as the development of cell-tissue structures capable of sensing the environment and eliminating toxins, new tools for targeting antibiotic resistant biofilms, and biosensors providing real-time biological monitoring. Some projects will be exploring the potential to use yeast, microalgae or cyanobacteria cells for the production of valuable pharmaceuticals or fuels, driving innovation in chemical and fibre manufacturing. Other projects will be creating new tools and building blocks that will be fundamental in driving progress in SynBio. This work will complement other SynBio FSP research being undertaken at CSIRO that will help us position Australia to play a role in the latest technological revolution. It is research that will allow us to better understand global developments and, where appropriate, contribute responsibly to advances in areas as diverse as healthcare, industrial biotechnology, biosecurity, food and agriculture. SynBio FSP’s Future Science Fellowships are co-funded partnerships between CSIRO and the host universities, with each partner contributing matching funding. The host universities are Australian National University, Macquarie University, University of Adelaide, University of Queensland, University of the Sunshine Coast, University of Technology Sydney and University of Western Australia. The CSIRO blog is designed to entertain, inform and inspire by generally digging around in the work being done by our terrific scientists, and leaving the techie speak and jargon for the experts. We aim to bring you stories from across the vast breadth and depth of our organisation: from the wild sea voyages of our Research Vessel Investigator to the mind-blowing astronomy of our Space teams, right through all the different ways our scientists solve national challenges in areas as diverse as Health, Farming, Tech, Manufacturing, Energy, Oceans, and our Environment. If you have any questions about anything you find on our blog, we’d love to hear from you. 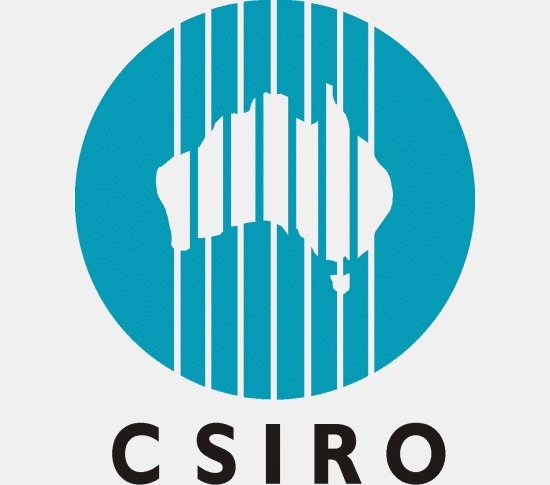 You can reach us at socialmedia@csiro.au. Davis can now walk fully unsupported and live a relatively normal life thanks to a correct diagnosis from UNC researchers within the NCGENES project. No image credit. “I can move my toes,” Elizabeth Davis says. Her 9-year-old son looks at her in awe. The two stand, wide-eyed in the middle of a Verizon Wireless store in Goldsboro, North Carolina. Davis leans hard against her crutches, staring at her feet. She looks up and smiles. At age 37 — for the first time in 31 years — Davis can uncurl her toes from a locked position, the symptom of a condition gone misdiagnosed for just as long. Three months later, she sheds her crutches, walking fully unsupported — something she hasn’t done since she was 14 years old. In 1975, the same year Davis was born, UNC microbiologists Clyde Hutchison and Marshall Edgell experienced a different kind of life-changing event. They’d been working rigorously to isolate DNA within the smallest-known virus at the time, Phi-X174. More than anything, they wanted to understand how to read the genetic code. Then, later that year and across the pond at St. John’s College in Cambridge, Fred Sanger figured it out. The British biochemist became the first person to develop a relatively rapid method for sequencing DNA, a discovery that won him a Nobel Prize in Chemistry — for the second time. In response to Sanger’s discovery, Hutchison took a sabbatical and headed to England to work in his lab. During his first year there, he helped uncover the entire sequence of Phi-X174 — the first time this had been done for any organism. While there, he realized the new ability to read DNA could help him and Edgell solve a different problem they’d been having back in North Carolina: fusing two pieces of DNA code together to create an entirely different sequence. After returning to Chapel Hill, Hutchison continued his work with Edgell and also Michael Smith, a researcher at the University of British Columbia who he met while working in Sanger’s lab. Together, the trio successfully fused two differing DNA strands using a more flexible approach to site-directed mutagenesis — a technique that makes gene therapy possible today. They published their results in 1978. Smith would go on to receive the Nobel Prize for this work in 1992. The scientific breakthroughs of the 1970s changed the field of genetics forever. In 1980, Sanger received the Nobel Prize for Chemistry for his contributions, along with Walter Gilbert (Harvard), who discovered that individual modules from different genes mix and match to construct entirely new genes; and Paul Berg (Stanford), who developed a technique for splicing recombinant DNA. 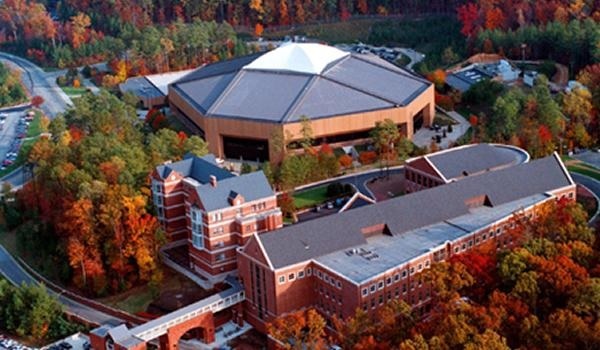 Meanwhile, researchers in Chapel Hill continued to chip away at the mysteries of the gene. Oliver Smithies, who came to UNC in 1987, would later win the Nobel Prize for his work in gene targeting using mouse models. That same year, UNC cancer geneticist Michael Swift and team discover the AT gene, which predisposes women to breast cancer; and George McCoy becomes the first clinical trial participant in the world to receive the genetically engineered Factor VIII gene to treat his hemophilia at the then UNC-Thrombosis and Hemostasis Center. Genetics was changing the world. And this was only the beginning. One year after Sanger won the Nobel Prize, Elizabeth Davis turned 6. She soon began walking on her toes, which had suddenly, one day, curled under in pain, making it nearly impossible for her to stride with feet flat on the ground. Her knees knocked together as she struggled to move with the swift pace characteristic of a child her age. Davis continued to walk on her toes for years. “I would even brace the school walls when walking down the hallway,” she says. Eventually, the pain became unbearable. By the time she was 12, she’d resigned herself to crutches. Doctors believed Davis’ condition could be treated with foot surgery, misdiagnosing her condition for years. By age 14, she had already undergone three procedures — two to lengthen her Achilles tendons and an experimental bone fusion. But each surgery offered little to no relief, and walking only grew more painful for Davis, both physically and emotionally. As her condition worsened, her classmates became cruel — so much so that she dropped out of high school when she was just 16. By age 20, Davis grew restless. “The pain was constant,” she remembers. “I could hardly move my legs — they just felt weak. I would drag them behind me as I used my crutches. I couldn’t even lift them.” Doctors suggested she undergo a third Achilles tendon lengthening surgery, the result of which minimally improved her condition. It would be another 17 years before doctors realized the problem was hidden in her genome. In 1990, the start of the Human Genome Project — an international research program to map out the 20,000 genes that define human beings — further fueled new discoveries in the field of genetics. So when Jeff Houpt, then-UNC School of Medicine dean, formed a research advisory committee in 1997 and asked his faculty what the number-one research program the university needed to focus on, they responded: genetics and genome sciences. By 2000, a hiring committee was ready to interview candidates to chair the new department and genomics center. Terry Magnuson quickly emerged as the lead candidate. He and his team had spent the past 16 years researching developmental abnormalities using genetics and mouse models, successfully changing the genetic background of a mutated gene. By the time she reached her 30s, Davis’ condition had spread to her arms. She underwent multiple MRIs, nerve and muscle testing, and a spinal tap. She even endured a fifth, unsuccessful surgery on her feet. Physicians misdiagnosed her yet again. A few believed she suffered from hereditary spastic paraplegia, a genetic condition that causes weakness in the legs and hips. Another told her she had cerebral palsy. “But I didn’t want to believe him,” she says — and it’s a good thing she didn’t. As Davis continued her search for answers, walking grew more and more painful. “I was always in pain,” she admits. “But some weeks were really, really bad — to the point where I couldn’t even move.” She finally succumbed to the assistance of a wheelchair. “I hated it so much. I barely went anywhere.” And when she did, she needed help. Her mother assisted her regularly with everyday tasks like grocery shopping. Her youngest son, Alex, learned to expertly navigate her around high school gyms, baseball fields, and the local YMCA pool so she could watch her other son, Myles, compete in the plethora of sports he participated in. After the Human Genome Project published its results in 2004, genomic sequencing became an option for people with undiagnosed diseases. But analyzing and understanding the 3 billion base pairs that make up a person’s genetic identity was an expensive process. As time progressed and technology improved, though, the technique became more manageable for both physicians and patients. Using these new genomic technologies for outpatient care intrigued UNC geneticists James Evans and Jonathan Berg. In 2009, after gathering enough preliminary data, the NIH granted the team the funds to start the North Carolina Clinical Genomic Evaluation by NextGen Exome Sequencing (NCGENES), which uses whole exome sequencing (WES) to uncover the root cause of undiagnosed diseases. Using just two tablespoons of blood, WES tests 1 percent of the genome — a feat that is both miraculous and controversial, creating a whole new wave of ethical questions. Simply put: “Some people want information that other people don’t,” Evans explains. Most people want to know about genetic disorders that have treatment options, but when it comes to those that don’t, they’d rather not hear it. “Navigating those different viewpoints can be a challenge,” he says. Privacy and confidentiality also present problems within the insurance world. Although protections exist in the realm of medical insurance, major genetic predispositions could have large implications for life, disability, and long-term care insurance. Today, upward of 50 researchers from across Carolina participate in NCGENES to study everything from the protection of data to the delivery of results. More than 750 people with undiagnosed diseases have undergone testing. NCGENES wouldn’t exist without the technical infrastructure that tracks, categorizes, and helps analyze genetic material as it makes its way through multiple laboratories — all of which is provided by UNC’s Renaissance Computing Institute (RENCI). A developer of data science cyberinfrastructure, RENCI provides the software programming that helps the team at NCGENES analyze genomes more effectively. By 2013, Davis was in desperate need of a new algorithm. Thankfully, that year, she was referred to Jane Fan, a pediatric neurologist at UNC. After studying Davis’ file, Fan felt sure that the doctors who tried to diagnose her condition failed, making her the perfect candidate for NCGENES. Not only were UNC geneticist James Evans and his NCGENES team finally able to accurately diagnose Davis, but they were able to treat it — with something as simple as a pill. A pill that has been on the market since 1988, used to treat patients with Parkinson’s disease. And just like that, Davis ‘life was changed forever by genome sequencing. Three days after she took one-quarter of a pill, movement returned to her toes while standing in the middle of a Verizon Wireless store in Goldsboro. She began to cry. UNC’s genetics department has ranked in the top-five programs for NIH funding across the nation every year since 2012 (and top-10 each year since 2006). “I think we’ve built one of the best genetics departments in the country,” Magnuson says. 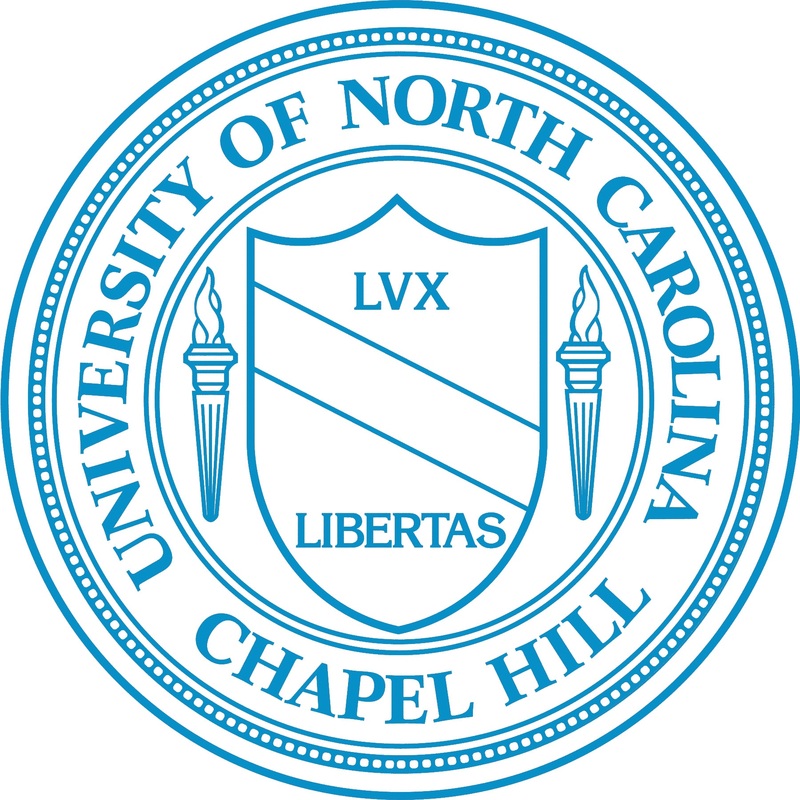 In 2016 alone, genetics department faculty brought $38 million to Carolina. Today, more than 80 faculty members from across campus conduct world-recognized genetics research in multiple disciplines. Ned Sharpless, for example, focuses on cancer. Most recently, the director of the UNC Lineberger Comprehensive Cancer Center lead a study that paired UNCseq — a genetic sequencing protocol that produces volumes of genetic information from a patient’s tumor — with IBM Watson’s ability to quickly pull information from millions of medical papers. A procedure much too intense and time-consuming for the human mind, this data analysis can help physicians make more informed decisions about patient care. Another member of Carolina’s Cancer Genetics Program, Charles Perou uses genomics to characterize the diversity of breast cancer tumors — research that helps doctors guarantee patients more individualized care. In 2011, he cofounded GeneCentric, which uses personalized molecular diagnostic assays and targeted drug development to treat cancer. In 2015, geneticist Aravind Asokan started StrideBio with University of Florida biochemist Mavis Agbandje-McKenna. The gene therapy company develops novel adeno-associated viral (AAV) vector technologies for treating rare diseases. Although still in its infancy, the company has already partnered with CRISPR Therapeutics and received an initial investment from Hatteras Venture Partners. Asokan has spent nearly a decade studying AAV — and even helped to, previously, cofound Bamboo Therapeutics, acquired by Pfizer for $645 million just last year. In 2016, current genetics department Chair Fernando Pardo-Manuel de Villena challenged both Darwin’s theory of natural selection and Mendel’s law of segregation through researching a mouse gene called R2d2. In doing so, he found that a selfish gene can become fixed in a population of organisms while, at the same time, being detrimental to “reproductive fitness” — a discovery that shows the swiftness at which the genome can change, creating implications for an array of fields from basic biology to agriculture and human health. A former student of Oliver Smithies, Beverly Koller uses gene targeting in mice to better understand diseases like cystic fibrosis, asthma, and arthritis — research that will ultimately lead to better treatments. Similarly, Mark Heise observes mice to study diseases caused by viruses including infectious arthritis and encephalitis (inflammation of the brain). Both researchers are part of the Collaborative Cross project, a large panel of inbred mouse strains that help map genetic traits — a resource that is UNC lead, according to Magnuson. 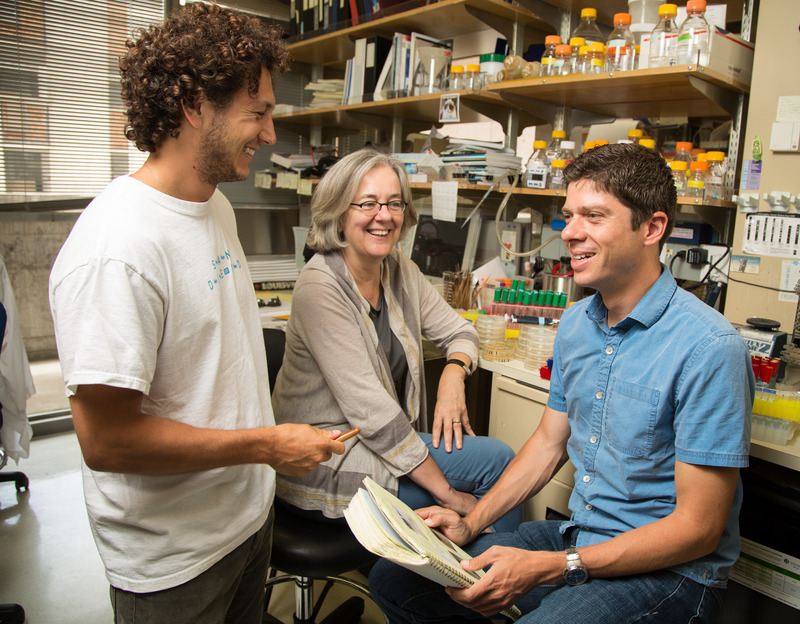 Genetics research stems far beyond the UNC School of Medicine. In 2009, for example, chemist Kevin Weeks and his research team decoded the HIV genome, advancing the development of new therapies and treatments. UNC sociologist Gail Henderson runs the Center for Genomics and Society, which provides research and training on ethical, legal, and social implications of genomic research. In 2015, UNC Eshelman School of Pharmacy Dean Bob Blouin helped the school become the first U.S. hub to join the international Structural Genomics Consortium — focused on discovering selective, small molecules and protein kinases to help speed the creation of new medicines for patients. CRISPR-Cas3 is a subtype of the CRISPR-Cas system, a widely adopted molecular tool for precision gene editing in biomedical research. Aspects of its mechanism of action, however, particularly how it searches for its DNA targets, were unclear, and concerns about unintended off-target effects have raised questions about the safety of CRISPR-Cas for treating human diseases. Discovered less than a decade ago, CRISPR-Cas is an adaptive defense mechanism that bacteria use to fend off viral invaders. This process involves bacteria capturing snippets of viral DNA, which are then integrated into its genome and which produce short RNA sequences known as crRNA (CRISPR RNA). These crRNA snippets are used to spot “enemy” presence. A sample cryo-electron microscope image of CRISPR molecules(left). The research team combined hundreds of thousands of particles into 2D averages (right), before turning them into 3D projections. Image: Xiao et al. The seed bubble acts as a fail-safe mechanism to check whether the target DNA matches the crRNA. If they match correctly, the bubble is enlarged and the remainder of the crRNA binds with its corresponding target DNA, forming what is known as an “R-loop” structure. The findings reveal an elaborate redundancy to ensure precision and avoid mistakenly chopping up the bacteria’s own DNA. CRISPR forms a “seed bubble” state, which acts as an initial fail-safe mechanism to ensure that CRISPR RNA matches its target DNA. Image: Liao Lab/HMS. Additional authors on the study include Yibei Xiao, Robert P. Hayes, Jonathan Kim, Sherwin Ng, and Fang Ding. This work is supported by National Institutes of Health grants GM 118174 and GM102543.